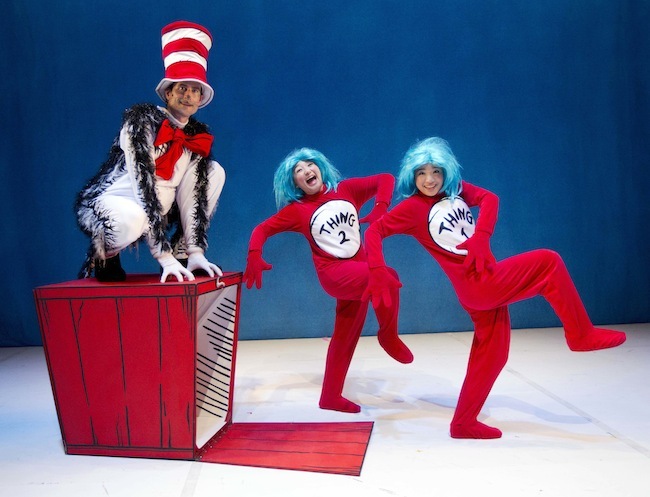 Our first encounter with Dr Seuss 'The Cat in the Hat' was 3 years ago at DBS Arts Centre. It was only first play from The Little Company. Since then we had became bona fide fans of both SRT : The Little Company and The Cat in the Hat. After the show , we bought book as well as the DVD of 'The Cat in the Hat'. The DVD was watched countless times by Little Lou. It was safe to say that is it one of his all time favourite show to date. Given that he was only 2 since he last watched them, he probably would not remember the show. Thus it was great that he got to watch the show live again. The show was set in the familiar blue background with props that seemingly came out from the storybook itself. 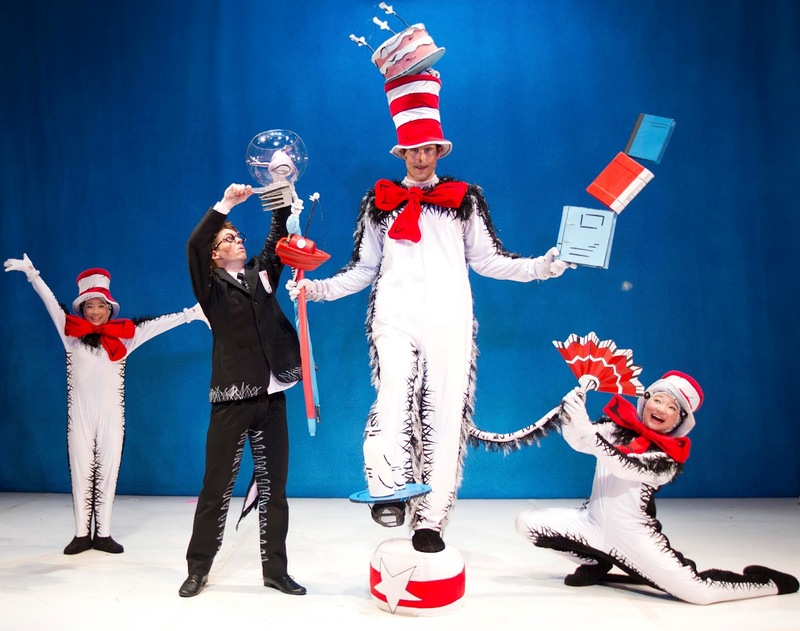 If you had read Dr Seuss 'The Cat in the Hat' you would be very familiar with the play as it is a faithful depiction of the original book. Needless to say when something went 'BUMP' and the Cat appeared, Little Lou was filled with delight and glee. From the start to be finish, he was totally engrossed in the show. Watching the characters coming alive on stage sure beats watching the same show on TV. This 45 minutes production is suitable for kids age 2 and above. We think that this would be a wonderful introduction to the beautiful and quirky world of Dr Seuss. A must watch for kids !